One of the great Greek cities of Asia minor, Ephesus was originally founded by Ionian Greeks around 1000 BC at the mouth of the now silted Kayster river. The city flourished during the 7th 6th centuries BC and again from the 4th century BC when it came under the authority of Alexander the Great and his Hellenistic successor Lysinachus. 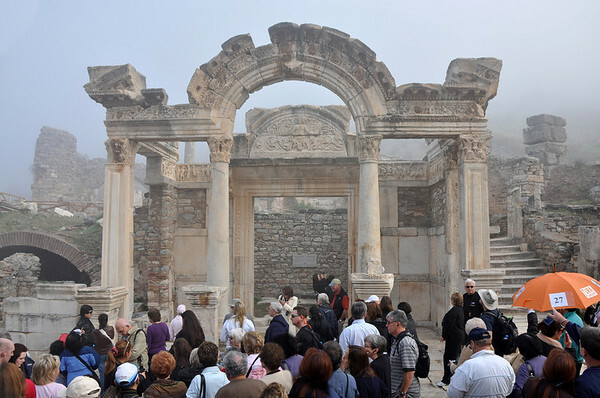 Under Roman rule Ephesus became the principle port and commercial centre on the Aegean, and the city was also a key to the development of Christianity. The Roman ruins at Ephesus, Turkey.